Would you like to be a sponsor for this year’s HERo Run? Sponsorships help us to honor Jaimie year after year with this Memorial Run. Run proceeds are used for other HERoes In Deed projects, to include annual scholarships, the HiD Community Grant, and more. If you are interested in sponsoring this year’s race, you can download and mail in the sponsorship sign-up form along with your check or email the form to info@heroesindeed.org. Contact us at info@heroesindeed.org for more information. 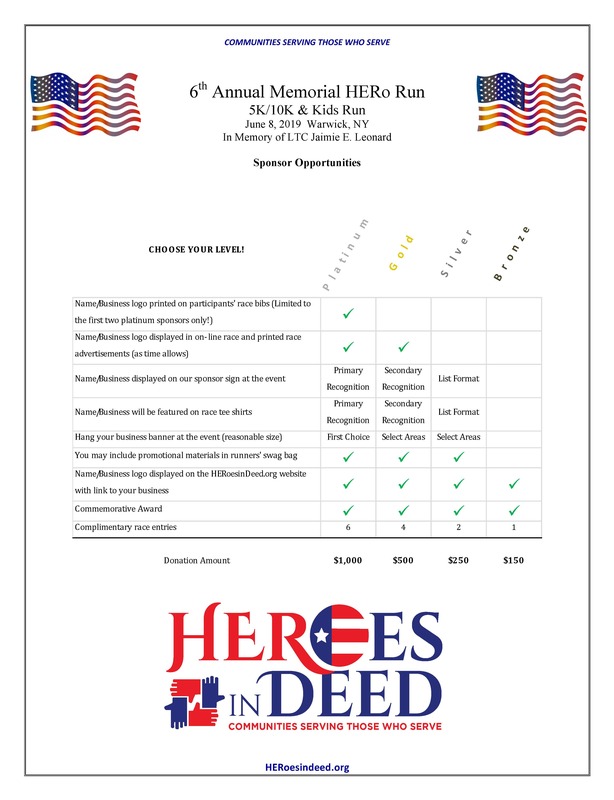 HERoes In Deed is a 501(c)(3) tax-exempt non-profit organization. Your donation is tax deductible.